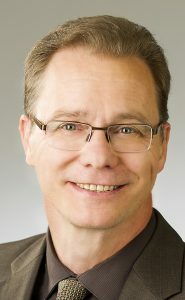 Brandon University is pleased to welcome Curt Shoultz as Director of the Centre for Teaching, Learning and Technology, effective November 1. Since graduating with a Bachelor of Education from BU in 1980, Shoultz has taught widely at secondary and post-secondary levels. Since 2000 he has focused on developing educational experiences for adult learners at Assiniboine Community College. Shoultz has designed and helped redevelop dozens of courses to be more student-centered, including coordinating an ACC faculty team’s redesign of their popular Interactive Media Arts program. As an artist and designer, Shoultz has acquired a solid grasp of a number of exploration and presentation techniques and types of software. Shoultz, who earned a Masters in Curriculum and Instruction at BU in 2007, has also trained in Problem-Based Learning and Design Thinking, and is experienced in developing effective methods to foster deep learning. Over the past 30 years, he has lectured at BU periodically and says he appreciates the challenges and rewards of teaching here. Among his other responsibilities, as Director for BU’s Centre for Teaching, Learning, & Technology (CTLT), Shoultz will recruit teaching, research, and graduate student affiliates; will organize workshops and seminars related to teaching, learning, and technology; and will generally support BU faculty in the pursuit of teaching excellence. Established in 2013, the Centre for Teaching, Learning, & Technology supports teaching and learning at Brandon University. The CTLT provides leadership and expertise in pedagogy and andragogy and the use of technology to support teaching and learning. It is committed to developing student-centered, evidence-based approaches to teaching and learning.